Computer Based Test System (CBT) is a Software running on Server and accessed on Web Browsers on user machine connected either through internet or local intranet in lab. The Online test software is integrated with OMR and Android platforms to conduct cross platform tests and process and present collated results from all platforms. This examination software support all types of computer based examination system for different popular online exams like IBPS, CAT, NATA and NEET etc. It is a ready-to-implement, economic and efficient examination tool providing complete ease of implementation and operation. The software is also offered as a leased online service thus making it very convenient for any startup or small institute for which the management of IT infrastructure is not the prime agenda. a) Online tests on website: Such institutes can host the software on their owned server in their Lab or on cloud and connected to their website where besides the institute’s regular students, even external candidates can register and attempt the test from home or cyber cafe. b) Offline Test in lab: Such institutes can host the software on their owned server in their Lab and keep the access limited on intranet inside the institute where only internal candidates can attempt the test in Labs. c) Test on Smartphone or Tab: Besides the Browser and Desktop based interfaces, Addmen Online Test software also has Android based interface which can be used good for Online Live Tests or Online Downloaded Tests. The candidate can download the tests to their device before attempting to solve them. This removes dependency on internet connectivity as the connection is required only during downloading and uploading and not during entire duration of the test. Availability of Android Smart phones is much more than availability of personal laptops and computers. 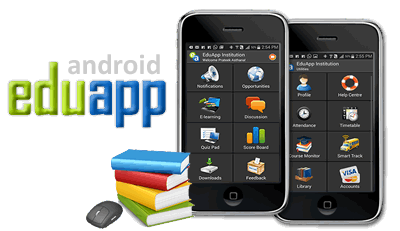 The Android EduApplet maximizes the popularity of your test by increasing the candidate participation. The EduApplet interface offers to serve the candidates with Test Schedules, Alerts and Notifications at Zero Cost, Instant Graphical Results and much more.